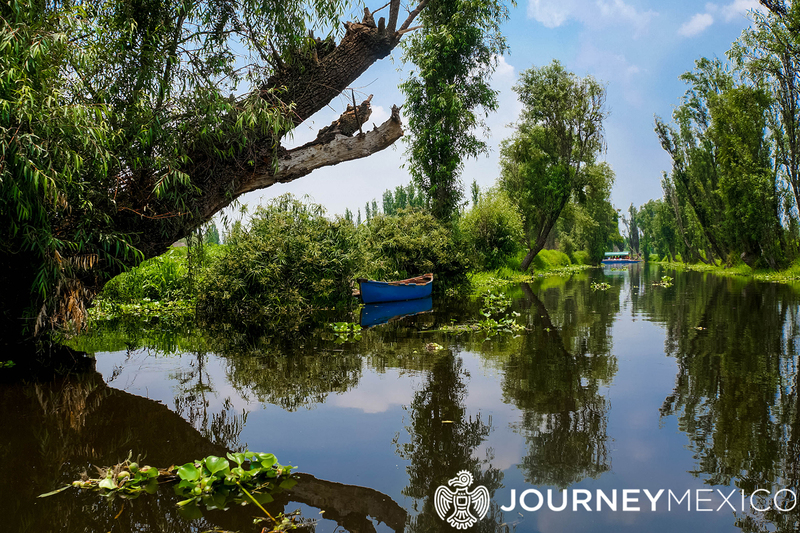 Xochimilco, meaning the ‘Place of the Flowers’ in Náhuatl, is famous for its waterways surrounding the ancient city of Tenochtitlan – which is now modern day Mexico City. The Aztecs built fertile riverbeds called chinampas, on which they were able to grow many of their staple crops to feed their people. 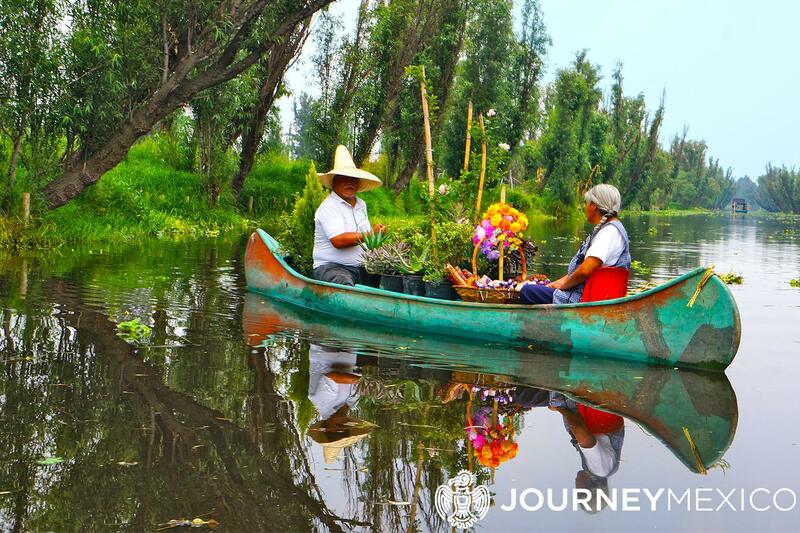 To make a chinampa, the Aztecs weaved sticks together to form a giant raft and anchored it to the bottom of the lake; they then piled mud and soil on top of the raft to create a small terrain to grow their nursery, thus creating “Floating Gardens” and canals. 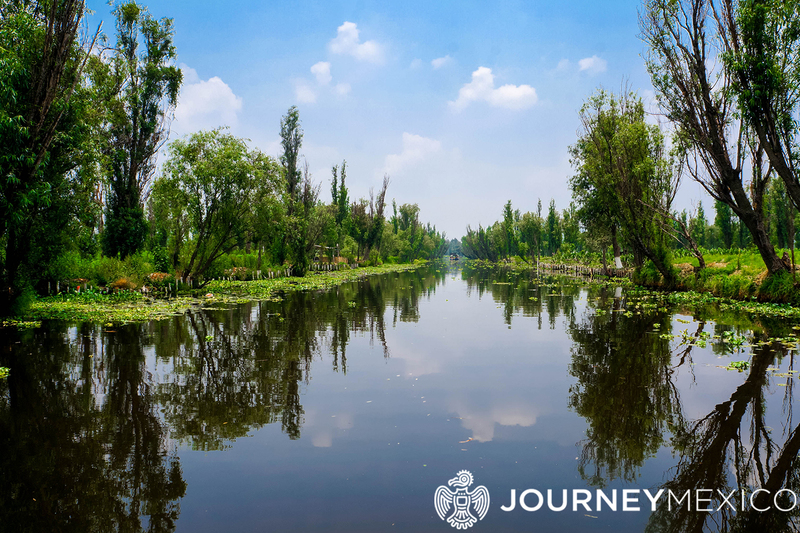 Recognized as a UNESCO World Heritage Site and to be of outstanding universal value, Xochimilco constitutes the only reminder of traditional ground occupation in the lagoons of the Mexico City basin before the Spanish conquest. 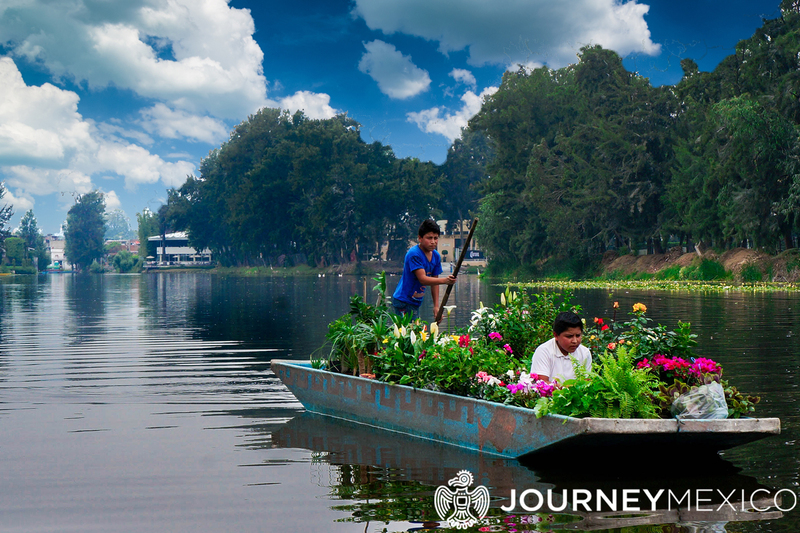 Today, visitors can explore the canals while floating on a colorful boat called a trajinera to learn about the Aztec’s ingenious technique for growing food upon the fertile riverbeds of the pre-Hispanic waterways – the chinampas are still in use today but for growing flowers rather than food crops. 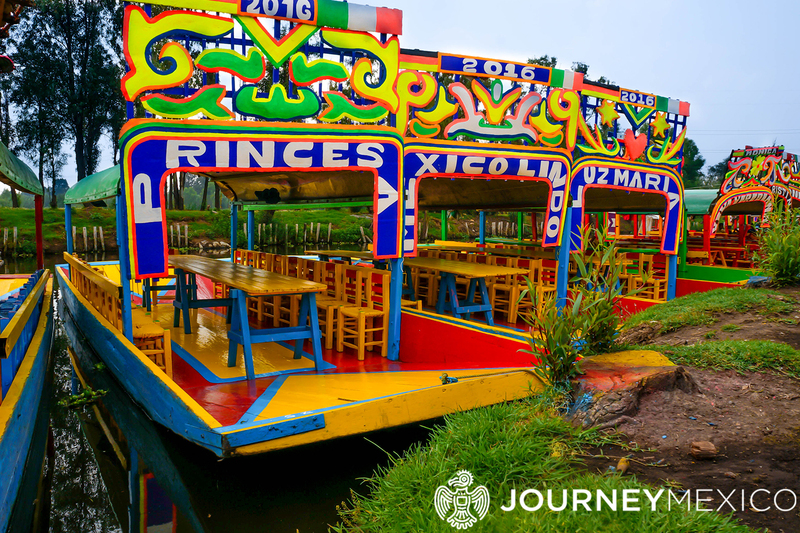 If you’re interested in visiting Xochimilco, browse our Mexico City sample itineraries below or contact Journey Mexico today. Mexico City Private Tour – The Mexico City Private Tour, A Cultural Escape is a sample itinerary ready for customization highlighting Mexico City’s most popular sites. Mexico City Weekend Getaway – Perfect for a jet-setter’s weekend, this Mexico City itinerary is a combination of culture and luxury where you can immerse yourself in Mexico’s capital and also get the relaxing time you deserve.